The term “growth hacker” is a comparatively new term to be added in the online business vocabulary. It was coined in 2010 by Sean Ellis, the founder and CEO of Qualaroo. Sean was hired by different online businesses to grow their websites. He performed the job well, increased traffic and conversions to website, and then went away. This is where the problem arose. After Sean left there was nobody to take his place. He tried to find a good replacement; he received CV’s of people who were good but still not good enough. He was receiving CV’s from marketers and it was then that he decided that he didn’t need a marketer but someone else. Someone who’s sole purpose in the company was just one thing – growth. And the term growth hacker was born. Sean came to this conclusion because he believed that marketers were important but not important for startups. When you are just starting out the traditional marketing techniques usually are not needed. For example you don’t need a marketer to manage and train your marketing team in the initial months. But what you do need is growth. The proof is in the pudding, it is said. Hence below I will discuss ten important growth hacks which different companies have employed to skyrocket their businesses. AirBNB is a website which lets people give out their empty rooms for rent to complete strangers by posting a listing on their site. They applied a wonderful growth hack technique to grow their business. When users were filling in the forms, they were shown an option through which they could have posted their listing on Craigslist as well. Since Craigslist is a popular website this cross posting would not only get more and more people to view the ad, but would also generate a back link to AirBNB increasing their search engine rankings. Simple, right? But if it’s really that simple why weren’t other websites using the same technique? It was because Craigslist wasn’t allowing any such simple integrations. AirBNB had to reverse engineer how Craigslist forms worked and then make their own site compatible with it and that too without having access to the Craigslist code base. The plan worked. AirBNB noticed a heavy growth. But then Craigslist soon found out and fixed their code so as to not allow AirBNB to post any further. Twitter is a household name today. Everybody has either used it or at least heard about it. When Twitter was launched it saw many sign ups and a lot of buzz in blogs and social networks. But people were not using it continuously over time. Twitter had a large audience which hung around a few days and then logged out never to log in again. And this was a problem for the company. The company took a non-traditional path. Instead of implementing the tried and tested marketing efforts or requesting people to come back with special offers the company invested in the product itself. They did in-depth testing with respect to the user experience and the website’s interface and then rebuilt the complete site according to the information gained from these tests. They learned that if the users selected five to ten accounts to follow when they first sign up, their chances of returning and becoming regular users would be far more. This will be because the user would have invested some time and energy into his account and people usually cling to those things in which they have invested. Also, the real value of Twitter lies in interacting with other people; not just posting tweets randomly. 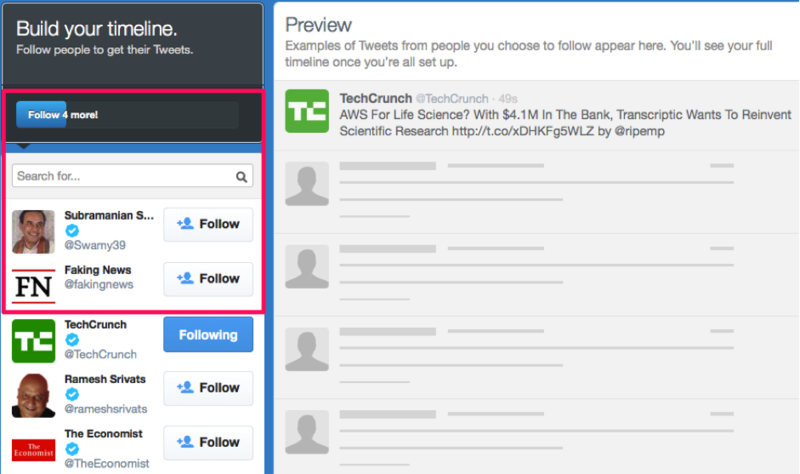 Twitter made big changes to their system in order to show users its true potential. And it worked. LinkedIn went from 2 million users to 200 million users by using the following growth hack. They gave users an option to create public profiles. Public profiles meant that the profile of the user will show up in search results when anyone will search for that person’s name. Before LinkedIn if you searched for your name it showed you many irrelevant pages and you had to search all the way down to find a page actually about you. But LinkedIn changed things. If you wanted to be found out, you needed to have a LinkedIn profile. YouTube’s growth hack technique has been simple and effective. When you watch a YouTube video you will see an option headed “Share”. 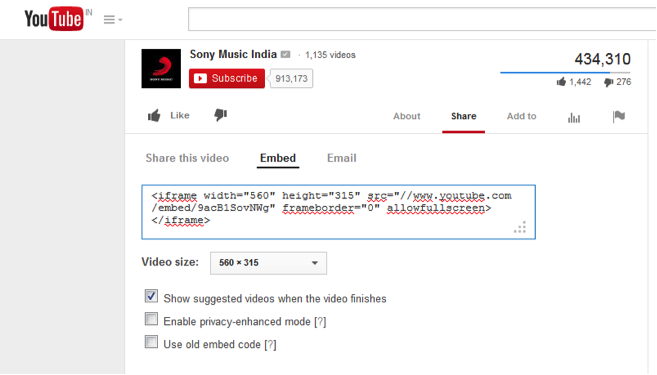 Click on it and you will see the “Embed” option as shown in the screenshot below. When you click on embed you will be supplied with a small HTML code. Copy and paste this code on your blog or website wherever you want it to appear. You will find that the video will appear on the page, exactly as it appears on YouTube and your site readers can view it. This growth hack is one of the key reasons for YouTube’s popularity. It helps spread the word, lets more people to know about YouTube, and generates backlinks to the website. In case you don’t know, Buffer is a social sharing tool which lets you schedule which update should be posted on which social media website and on which day and time. This lets you post under a proper schedule without being on your computer at all times. The growth hack they employed was acquisition of the Digg Digg floating share bar. If you have visited websites where the social media buttons are displayed in a vertical bar and they slide along the page as you slide up and down the site, you will know what I mean. 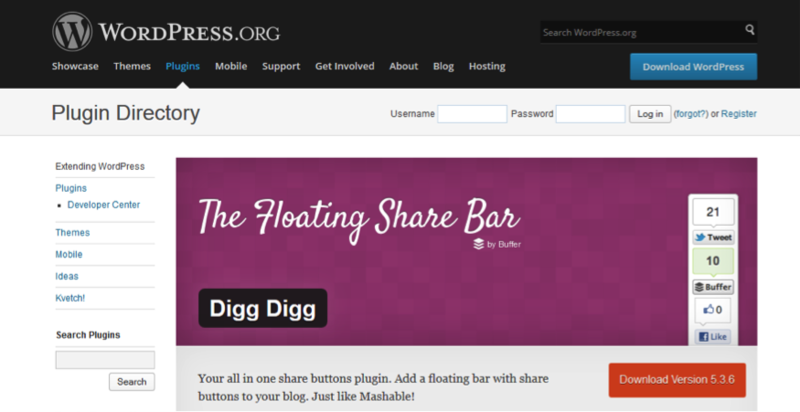 After they purchased the Digg Digg bar, they used their Buffer button on it by default. This compelled more and more people to use it and know about it. In the late 1990’s, Hotmail employed a small little trick which did wonders for them. The emails being sent by Hotmail from any user contained a line at the end which read, PS – I love you, and contained a link back to the homepage of Hotmail. The people receiving the email, or at least a percentage of them, clicked on the link and signed up for an email account on Hotmail. This led to a massive growth, to actually 12 million email accounts. Later on Microsoft purchased Hotmail for $400 million! Not bad at all. Dropbox came up with an interesting way to increase referrals. Firstly they made it very easy for their current customers to share referral links with their friends and secondly they offered them an incentive. For example they introduced a feature wherein if a current customer will refer somebody to them they both will get an extra 500MB of disk space, as soon as the other person signs up. This method worked like magic. 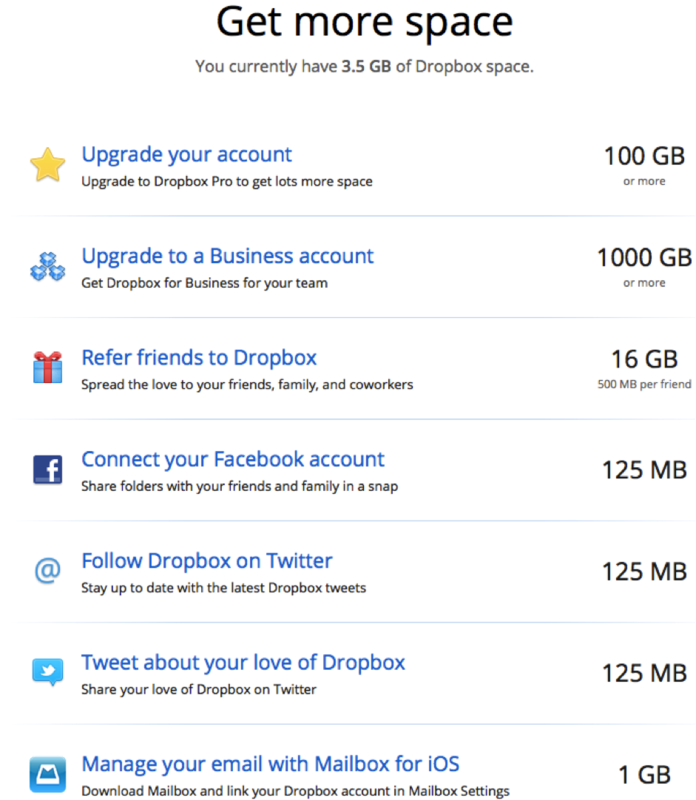 More and more people began circulating referral links to Dropbox because they wanted extra space for free. And more and more people started signing up because they were getting 500MB extra space which they wouldn’t have gotten if they would have signed up normally i.e. without the referral link. This method cost Dropbox merely 1 GB of disk space, much less than what they would have spent if they would have tried Google AdSense or any such similar advertisements. Say Hi to our good old addictive friend – Facebook. Though Facebook employed many growth hacks, here I will discuss two of them. Facebook created badges or profile widgets and made them embeddable so that the users could take them and post them on their websites and blogs. Of course this gave Facebook more visibility and better search rankings. … these widgets served billions of impressions per month, which led to hundreds of millions of clicks and consequently millions of signups. By extending Facebook through the user base, Facebook was able to generate a massive number of sign ups. The second hack was about buying service providers in third world countries. Most business analysts then were confused with their move. To them, it made no sense why would Facebook want to buy entire companies that too half way round the world just to get people’s email addresses. It turned out Facebook was not buying them to get their customers’ email addresses, but it was buying them to get access to their technology which was collecting email addresses. They needed this technology to get more email subscribers for themselves. Quora was launched in 2010 and at the time of writing of this article, had an Alexa rank of 451. It’s a new social network co-founded by two of the former Facebook employees. It is basically a questions and answers website where anyone can post questions, answers and can also edit the answers written by others. Yes it is somewhat akin to Wikipedia. The growth hack employed by them was to study what the most active users on Quora were doing. 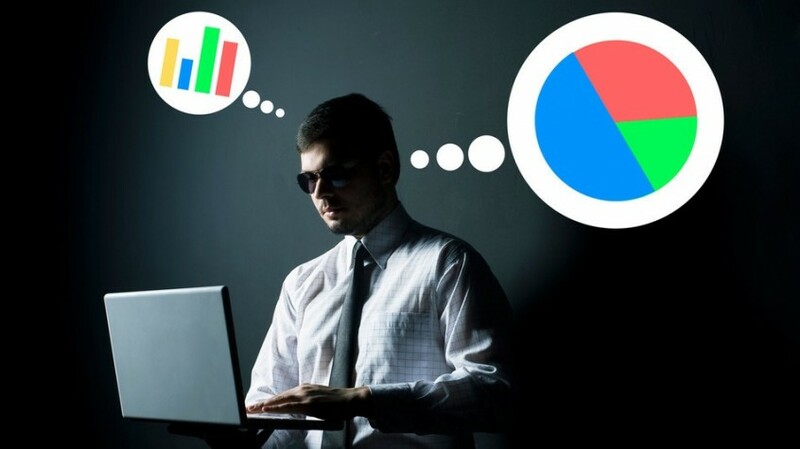 Intense research and experimentations were carried out to find how the most active users were behaving on the website and then patterns were created so that the other users would also fall into the same kind of behavior. PayPal, the popular merchant account hacked their way to fame as follows. It all began with eBay. The site allowed the sellers to mention their options through which they were willing to accept payments. Overtime more and more listings were accepting PayPal. But back then PayPal was not an option provided by eBay by default. So the sellers had to write down the name “PayPal” in several places. When PayPal noticed their popularity amongst the eBay users, they managed to sign a deal with eBay, allowing the sellers to use the PayPal logo if they were accepting payments through it. The result was that PayPal’s logo was displayed side by side with many other logos of established companies like Visa and MasterCard. This idea worked wonders for PayPal and I think there were three prominent reasons for this. One – Since the logo of PayPal was being displayed with other big names, it sent out a signal that PayPal is a competitor of those other companies. This helped increase their value. If you have an online magazine, wouldn’t you love to be called a competitor of Forbes? Two – eBay was already a giant in the online world. By showing off their logo there, PayPal was standing on the shoulder of a giant. PayPal was leveraging eBay’s traffic to grow their own business. Three – Since more and more sellers were accepting payments through PayPal, it urged more and more customers to have PayPal accounts. You see this is akin to having a phone. A person can only talk to you through his phone when you will have a phone for yourself. Similarly you can make a payment into somebody’s PayPal account, only when you will have a PayPal account for yourself. So how did this growth hack help PayPal? Their partner eBay was so impressed with them that they bought PayPal for $1.5 billion. I hope the examples above will help you get a better understanding of what growth hacks are and how they function. I also hope this post would have inspired you to invent and implement some good hacks for your website. Let me know in the comments below if you know of any other good growth hacks. One of my faves also came from Paypal – they paid users to sign up. They came to realize that their CAC for a free user was >$20. So they launched a referral program to simply buy new users for $20. For every user referred, the referrer would get $10, and the refer-ee would get $10. Ultimately, they spent $60-70 million acquiring new users via the referral program. But it helped them grow at 7-10% *per day*, and still kept them with a positive LTV:CAC ratio. I think Buffer and the social media apps are very good for businesses and I am using it at my current job. The others I havent used much.